Attending an accredited Caribbean medical school is a worthwhile option for students who want to serve humanity. Windsor University School of Medicine offers quality medical education, diverse clinical experience, state-of-the-art learning tools, optimal learning environment and digital classrooms. By providing clinical clerkship in the U.S. and Canada, our students will learn how to treat patients by utilizing cutting-edge medical technologies and resources. Graduating from the Caribbean medical school allows you to easily match into residency programs in the U.S. and Canada, get unique experiences and leadership skills that are required to pursue a rewarding career in medicine. Experience an innovative curriculum offering diverse, hands-on learning. Instead by the quality of our products and the quality of our services. Students are captivated by the unique blend of African and English culture of St. Kitts. They can immerse themselves in St. Kitts’ rich history, and dine at local restaurants at Porte Zente, Basseterre and Fridge Way areas as native music fills the air. Though many languages are spoken, English is the national language. They can visit the twin Island Nevis by ferry for a change in routine. With over 8 student-sponsored organizations catering to a wide range of interests, students actively take part in creating a lively and diverse campus community. In addition, the island of St. Kitts affords students a wide array of activities and events to participate in. When students arrive on St. Kitts and Nevis, twin islands known as Paradise, they are transported to a place of serenity, cultural diversity and warmth. Home, at least for the time being, is the pastel-tinted architecture of the majestic True White & Blue Campus, a state-of-the-art multi-million dollar campus that includes cutting edge teaching facilities, labs, library, research institute and more. How Can International Students Prepare Themselves for an American Medical School of the Caribbean? Why Should I Choose a Caribbean Medical School? Have you decided to learn medicine outside of the United States or Canada? An American Caribbean medical school is undoubtedly the best choice for those who are looking to pursue a lucrative career in medicine. Windsor University School of Medicine is located on an island in the Caribbean, St. Kitts, perfect for those who are aiming to pursue accredited MD program and a lucrative career in medicine. WUSOM welcomes students from all over the globe and gives them an opportunity to gain medical knowledge and advanced clinical skills. You will enjoy the perfect weather, beaches, sunshine, outdoor activities, that will help you maintain a study-life balance at campus. While you will inevitably spend a better part of your waking hours studying, or in the hospital or classroom, you can spare some time to delve in a wide array of local cultures prevalent across the Caribbean. Additionally, the campus groups at most medical schools in the Caribbean are quite involved in local global health outreach. Student groups can cultivate long-term relationships with the Rotary club, clinics, orphanages, and local churches. When you step out of your comfort zone to include people with diverse cultural and economic backgrounds that are poles apart from your own, you set out to become a better physician down the road. When students strive to elevate the level of care they provide to their patients by depicting empathy, it adds to their experience pool. 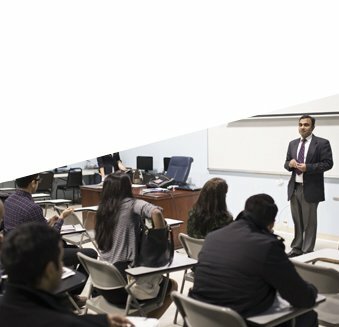 Windsor University School of Medicine is an accredited Caribbean medical school that is struggling hard to produce talented and qualified doctors by offering quality education, advanced clinical training, and prepare their graduates to practice medicine in different states of the United States and Canada. WUSOM is accredited by the Medical Council and Board of Government of St. Kitts that ensures that medical universities meet and maintain the standards of providing quality education. caribbean medical university is accredited by the Accreditation Board of St. Kitts & Nevis. Windsor University School of Medicine is licensed and chartered by the Ministry of Education and listed in the World Directory of Medical Schools in partnership with FAIMER. It is listed in the World Health Organization Directory of Medical Schools. The ECFMG has also accredited WUSOM. Windsor University has been approved by the Medical Council of Canada and the Medical Council of India. 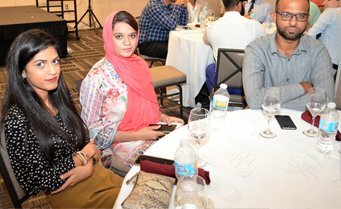 Windsor graduates are eligible to be Education Commission of Foreign Medical Graduates (ECFMG) certified and can take the United States Medical Examination (USMLE) and Medical Council of Canada Evaluating Examination (MCCEE). Graduates of WUSOM can also avail the opportunity of participating in the National Resident Matching Program (NRMP) and the Canadian Resident Matching Service (CaRMS). Windsor Caribbean medical university is one of the best medical schools in the Caribbean region that focus on providing an advanced educational curriculum, state-of-the-art learning technologies, digital classrooms, clinical training, and extensive hands-on patient care that give you a breadth of knowledge and skills that you can apply in real-world settings. If you want to fulfill your dream of becoming a qualified doctor and seeking admission to an American Caribbean medical school, WUSOM would be the best choice! 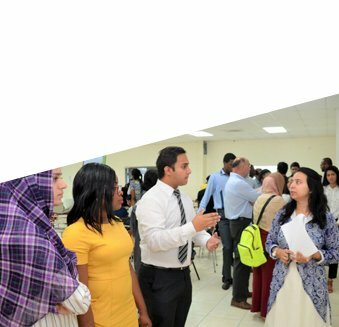 From flexible admission requirements to an easy and hassle-free admission process, affordable tuition fee to financial aid, student career counseling to transportation and on-site psychologist facility, Caribbean medical university provides a lot of facilities that make it one of the best Caribbean medical schools. Did you know that the acceptance rate in Caribbean medical universities is four times more than the acceptance rate in USA? The MCAT scores are a major gatekeeper of US medical admissions. Too many future physicians have witnessed the death of their career due to an over-reliance on the exam. Windsor Caribbean medical University believe that a low MCAT score could be due to a plethora of circumstantial reasons and shouldn’t be a death sentence for a career in medicine. Even though medical schools in the Caribbean consider these exams as a valuable tool to gauge experience and past performance, they don’t snub off applicants just because of their MCAT scores. If you want to study medicine, apply to a Caribbean medical university with no MCAT. One of the major benefits of applying to a Caribbean medical school that offers rolling admissions is that applications are evaluated in the order in which they are received. At Caribbean medical university, Pre-med and MD program applications are accepted in January, May, and September. Windsor University School of Medicine is a Caribbean medical school that offers scholarships and special funding support to our brilliant students. 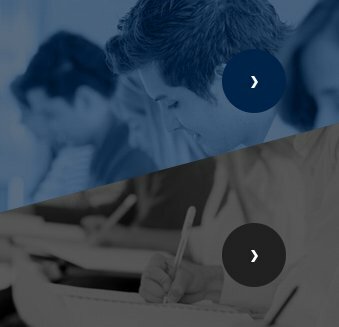 We have a number of scholarship opportunities that we offer to suitably qualified students to improve their academic performance such as academic scholarship, clinical academic scholarship, U.S. military veterans scholarship, medical professional scholarship, international student scholarship, and organizational scholarship. Most medical institutions around the world come with a hefty fee structure that becomes unaffordable for students. On the other hand, Caribbean Medical school of medicine pose an entirely different story. While most believe that federal loan is the best option for borrowers, it is not always a luxury for students who are seeking to support themselves. Therefore, Caribbean universities have established programs that offer medical courses that are easier on the pocket as compared to renowned universities from around the world. WUSOM offers quality medication education at highly affordable tuition cost that make it easier for students all around the globe to fulfill their dream of enrolling in medical education programs. The average tuition cost of Caribbean medical university is $3,990 per semester for the pre-medical program, $4,990 per semester for the basic sciences program, and $6,490 per semester for the clinical sciences program. WUSOM offers Premedical Science Program that takes four years to complete the premedical Science program. Upon successful completion of 4 semesters of premedical courses, students are eligible to complete the Basic Medical Science program. In Pre-Med I, students will take biology with lab, general chemistry with lab, physics, English, mathematics and pre-calculus. In Pre-Med II, students of WUSOM will learn about cell and molecular biology, inorganic chemistry, calculus, organic chemistry, physics, and history of medicine and DPC -I. In Pre-Med III, students will get the opportunity to learn in-depth medical concept and take courses in biostatistics, organic chemistry with lab, food and nutrition, humanities, cell and molecular biology with lab. In Pre-Med IV, students will prepare for the intensive MD courses and learn about psychology, microbiology and immunology, biochemistry, anatomy and physiology, genetics and nutrition and history of medicine. After completing Pre-Med Science program, students are eligible to take Basic Science program and strengthen all the concepts they have learned in their Pre-Med courses. In MD I, students will take courses in histology, structural and development anatomy, introduction to clinical medicine and role of physicians in global society. Our MD II curriculum is designed to provide students with an in-depth understanding of medical biochemistry and genetics, principles of bio-medical research and introduction to clinical medicine. The MD III curriculum is based on clinical practice and lab-based learning, providing students to learn about microbiology, pathology, neuroscience, principles of biol-medical research and clinical medicine. In MD IV, students of Windsor University School of Medicine will have the opportunity to study pathology, pharmacology, behavioral sciences and bioethics, preventive medicine and clinical medicine. MD V curriculum prepares students for hospital clerkship so that they will be able to apply the techniques and theories learned throughout MD courses in real-world environment. The will take electives to foster a well-rounded medical education. One other great benefit of getting educated at a Caribbean medical university is that it offers Offshore Clinical Rotations to all students who are attending college within their respective institutions. They offer them a chance to travel abroad, so that they can gain more hands-on experience from hospitals across recognized countries, such as USA and Canada. Now, if you are a native, what more do you want other than traveling back to your hometown and getting the exact clinical rotation that a Harvard university graduate is getting from a local medical facility. Windsor students have to complete 48 weeks of clinical core clerkships and 24 weeks of elective. They can take clinical clerkship in medicine, surgery, psychiatry, pediatrics, obstetrics and gynecology, family medicine to gain an in-depth understanding of the basic areas of the medical field. Students are also required to complete 24 additional weeks of elective clerkships and compulsory selective clerkships. During 24 weeks of elective rotations, students will take rotations in a myriad range of medical specialties such as Cardiology, Nephrology, Neurology, Geriatrics, Hematology & Oncology, Infectious Disease, Pain Management, Geriatrics, Emergency Medicine, Radiology, Dermatology, Pulmonology, Urgent Care, Gastroenterology, Pathology, and Anesthesiology. They will also take clerkships in different surgical specialties inducing Orthopedics, Urology, Neurosurgery, Trauma Surgery, Cardiothoracic surgery, Vascular Surgery, Plastic surgery, ENT, & Ophthalmology. While in selective rotations, student will take clinical clerkships in community medicine, preventive medicine, hospital emergency patient care and research. Studying in a medical school in the Caribbean will prepare you for a number of residency positions in competitive medical specialties. Graduating from Windsor University School of medicine will make you eligible to apply for residency programs in almost every medical specialty and subspecialty at renowned teaching hospitals of U.S., Canada and different other countries. Our graduates secure residency placements in medical specialties such as surgery, pediatrics, internal medicine, neurology, psychiatry, family medicine, anesthesiology, obstetrics and gynecology and different other competitive programs. 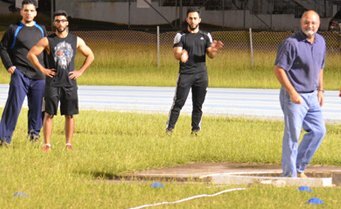 Besides providing an excellent academic experience and clinical training, Windsor Caribbean medical university provide a myriad of student support services to make your time at our campus spectacular. We provide a range of support, advice and other facilities to make your experience about living in St. Kitts. From housing and transportation facilities to career and psychological counselling, we will make sure to provide student support services to our students that will them continue their education and achieve academic excellence. All of these student support services are designed to enhance the overall experience of studying medicine in a Caribbean medical school. Windsor University School of Medicine is one of the Caribbean medical schools that strives to provide its students with the latest learning techniques, digital classrooms, video training and interactive course content. 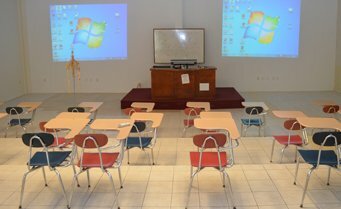 Our students have access to an innovative learning environment including hundreds of videos, digital books, tutorials that enable them to learn the intricate medical concepts and enhance their skills. In addition, our state-of-the-art clinical simulation center facilitates interactive learning through medical simulation that helps students to hone their clinical skills. The ultimate goal of providing this cutting-edge facility is to provide our students with realist learning opportunities and prepare them to apply their knowledge and skills in real health care setting. We believe in providing innovative educational curriculum, research opportunities, interactive learning, standardized patient programs and early clinical exposure to provide necessary skills, knowledge and competency for a medical career.